This is a video interview I did shortly after Apple’s special iPhone 4 antenna press event yesterday with Dave from Geekanoids. Just a quick note to let you all know that you can hear me on the latest episode of with iProng Radio with host Bill Palmer. The show normally covers iPod and iPhone news, but in this episode we get quite a bit into Leopard. Make sure to check it out. 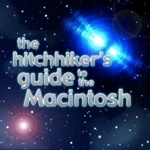 The other day our friend Richard Tanner, who wrote the excellent Hitchhiker’s Guide to the Macintosh (HHGTTM) series for Maccast.com, invited me to be on his podcast. It was a ton of fun and we had a great time talking about my history with Macs and Apple and about how the Maccast came to be. I want to thank him for asking me to be on his show. As for his show, any of you Mac historians out there you should really check it out. Richard took the complete series he wrote here and adapted it to podcast form. I have to say it came out great. He has also added some more recent content to the series, bringing it up to date with the latest developments from Cupertino. When you get a chance head on over, take a listen to the interview, and be sure to subscribe if you like what you hear. 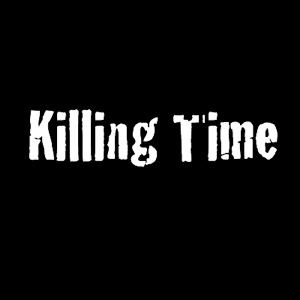 So as I mentioned on the last Maccast, I was recently invited over to have a chat with IA and JB of the Killing Time Podcast. The show is kind of a media pop-culture opinion show where they talk movies, TV, comic books and more. Since I am into all that stuff I guess I fit the bill. The show’s format is light hearted and I had a great time. If you would like to take a listen, the show is up and available on their site, or better yet, simply subscribe to their podcast (iTunes). I had a chance this week to hang out with Tim and Chad over at the MyMac Podcast. We had a great time chatting about some of the latest things going on in the world of Apple. If you would like to take a listen the show is up and available for download here, or better yet, simply subscribe to their podcast (iTunes). I was recently invited to sit down with one of my listeners who is also a podcaster. 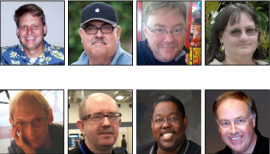 Laurence Anderson and Douglas Bell do a show called the Previewcast. Larry wasn’t able to make the recording, but Doug and I had a nice time chatting about Apple and Macs among other things. The Previewcast recently received one of the infamous Apple legal letters because of some images used in their album art. The story made for a fun start to our conversation. Things went on from there and I had a great time. If you want to take a listen the show was just posted up on the site. Enjoy. Download this show or subscribe in iTunes! Recently I was lucky enough to have Bill Palmer (iProng) and Shelly (Shelly’s Podcast) invite me to be on their iProng Radio Show. It was their first of the five live podcasts recorded at the Podcast & Portable Media Expo. I was on with Bill, Shelly and Dave Hamilton from The Mac Observer, iPod Observer and Mac Geek Gab. It had been three weeks since Steve Jobs’ Show Time event and we discussed the new iPods, iTunes, 7, Apples upcoming iTV product, and more. The show is posted on the iProng Radio site if you want to listen or you can simply point your favorite podcatcher at the iProng Radio feed and subscribe.